A new, nationally-acclaimed CD features Fr. 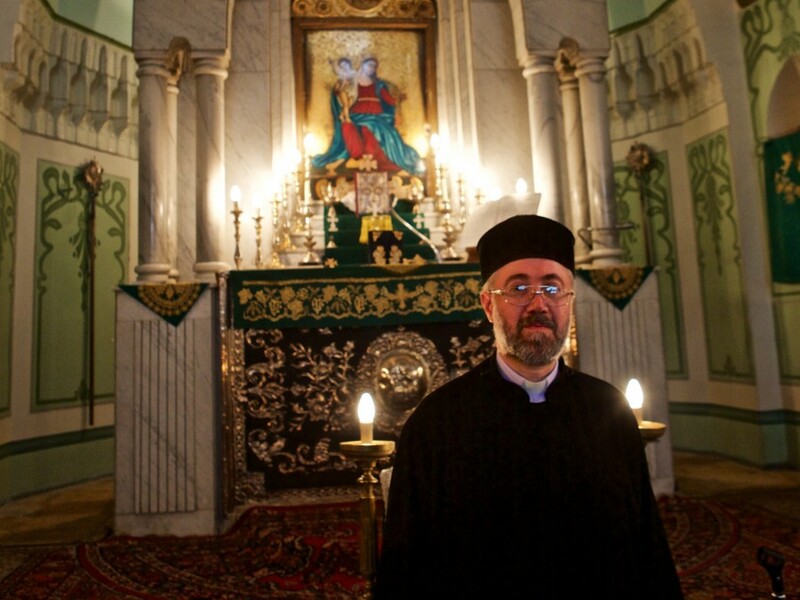 Yeznig Zegchanian of Forty Martyrs Armenian Apostolic Church in Aleppo, Syria. A new CD of Armenian Church music recorded in Aleppo’s Armenian Church of the Forty Martyrs is attracting national attention. During the past week the producer, Jason Hamacher was featured on NPR’s (National Public Radio) nationally-syndicated program, Weekend Edition. Mr. Hamacher will present his CD, entitled Forty Martyrs: Armenian Chanting from Aleppo, this Friday, September 18 in the Kavookijian Hall of the Armenian Diocese in New York. The event is free and open to the public. CD’s and LP’s will be available for purchase. The evening will be moderated by NPR’s Anastasia Tsioulcas.